Power take-off (PTO) pumps can't be bested when it comes to pumping serious amounts of water—fast. Even if these pumps are meant to move huge amounts of water, don't get caught buying the generic models—you want the best one out there. That's why this year we've compiled the top lists of the best-selling, top-rated, and expert-recommended PTO water pumps around. Don't just take our word for it; scroll through the tabs and see what our customers have to say below. 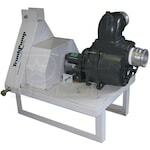 Or, if you want to learn more about the uses for these pumps, check out our PTO Water Pump Buyer's Guide. 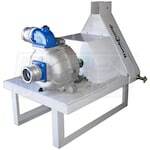 Top 10 PTO Water Pumps.. Our Power Equipment Direct how-to library can help you learn about Proposition 65 Product Labeling, Sales Tax Information and Water Pump Delivery Service Alert Due to Hurricane Harvey.